Contact an experienced San Jose, CA, hydrojetting expert at Genmor Plumbing today at (408) 933-9874 to professionally clean the pipes and drains in your home. Click to view our online coupons and specials here. Hydrojetting is the process of pushing high-pressure water through the plumbing in your home to remove debris and buildup from within the pipes and drains. Find out what other San Jose, CA homeowners have experienced with Genmor Plumbing professionals by clicking here. Hydrojetting is a very effective way to remove sand, silt and scale build up from the inner walls of your plumbing pipes. It also works to remove hair clogs and other residue from pipe walls. Preventative hydrojetting can be done on a fairly regular basis. This also removes food particles and grease buildup from your drains. Hydrojetting can clean the inside walls of plumbing pipes even more thoroughly than snaking in many instances. The process of snaking pipes will break up clogs but can also leave some of the build up remaining. 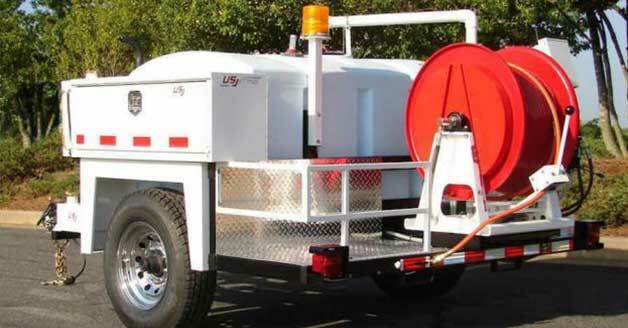 Another great benefit from hydrojetting is that it is completely environmentally friendly and requires no harsh or toxic chemicals. It is usually encouraged that diagnostic steps be taken prior to hydrojetting because the current state of the plumbing in your home is unknown. A diagnostic camera is sent throughout the plumbing of your home. This is done in order to view the pipes to ensure that there are no damaged or cracked pipes. Hydrojetting before diagnosis leads to the possibility that the very high pressure of the water could break through any weakened areas or cracks. This could cause extensive damage. However, if any such cracks or weakened areas are found, you will be able to fix them as well before they have the chance to worsen into an emergency situation. Hydrojetting fairly regularly can keep newer plumbing pipes clean and free from becoming blocked. However, old plumbing can also benefit from regular hydrojetting as it can greatly improve overall functionality. Performance of old pipes can also improve significantly once hydrojetting has removed the years of build up from within the pipes. Harsh chemical cleaners have little success in clearing sand and silt from pipes and are not as environmentally friendly as hydrojetting. To book a diagnostic appointment or to find out more about hydrojetting, call Genmor Plumbing in San Jose, CA today at (408) 933-9874. Our plumbing experts provide quality professional hydrojetting services. We offer free estimates and our work is always backed by our satisfaction guarantee.